Do you want to meet a girl from another country, but are afraid that the language barrier may stop you? There are some simple ways to overcome this problem. While looking through womenâ? ?s profiles one of the things you may pay attention to is knowledge of the languages, at least English. And very often you donâ? ?t chose ladies you like only because they do not speak English. But doing such a way you may miss your perfect one. So, let me recommend you how to behave if you want to meet someone non-speaking your language. 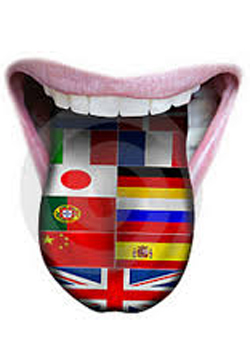 First you need to know, that our interpreter will support you while date. Some steps you can also prepare on your own. You can buy dictionary or phrasebook. Now in our innovations era every smartphone using internet connection can help you to communicate with your date. I can use such Internet tools as Google Translator or Promt. Do not be ashamed of using gestures or signs in order to help in understanding. Be patient and donâ? ?t take everything to serious, try to stay relaxed and unselfconscious. I know that you may think a bit uncomfortable, but if you really like this lady, language barrier wouldnâ? ?t be a hindrance for your relationship. If you seriously liked your date and want to build future together the easiest step for you both would be language courses or lessons with private teacher. Of course it will take some time, but as a result your lady would speak some language on basic level in 2- 2,5 months. So, do not be afraid of the phrase â? ?English with interpreterâ?�. Just remember that love can overcome every hindrance!